1. Super Bowl LIII saw the New England Patriots fighting for their sixth win since 2002 against the Los Angeles Rams. After a long defensive slog, the Patriots managed to close out a 13–3 win. 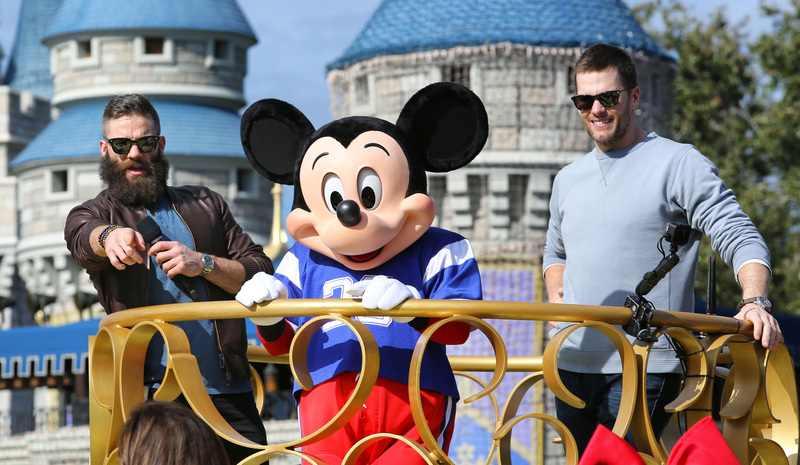 Afterward, who took home the Super Bowl MVP trophy? 2. Which rapper, who built his fame through association with Southern rap traditions from Atlanta, was arrested by U.S. Immigration and Customs Enforcement on Feb. 3? 3. 24-year-old William Brown, from Fort Worth, died late January in a nontraditional way. The medical examiners just released his cause of death, contradicting what doctors initially said was a stroke while driving. What did Brown actually die of? 4. Senate Majority Leader Mitch McConnell has recently spearheaded a bid to avert the U.S. withdrawal of troops from Syria and Afghanistan following efforts from President Donald Trump to remove troops from the region. Which senator accused colleagues of being warmongers in supporting the amendment? 5. 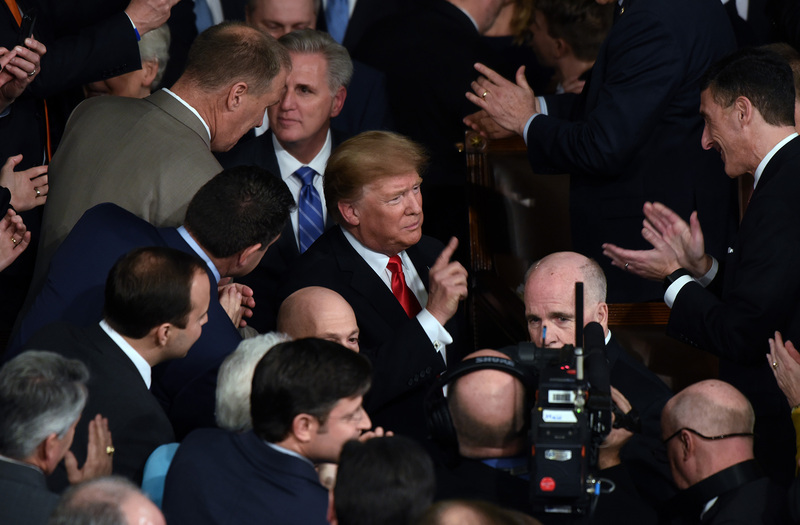 President Donald Trump delivered the 2019 State of the Union Address on Feb. 5 after having it delayed by the government shutdown. Early on in the speech, Trump promised an “economic miracle” in the U.S., opposed only by what? 1. b. Edelman took home the MVP trophy the afternoon of Feb. 4. Edelman caught 10 passes for 141 yards during the game, according to the Los Angeles Times. Edelman tends to shine most in the postseason where, after Super Bowl LIII, he ranks second only to Hall of Famer Jerry Rice in postseason receptions at 115 receptions for 1,412 yards. 2. a. 21 Savage, long associated with Atlanta Southern rap, was arrested by the ICE on Feb. 3 for overstaying his visa, according to NPR. NPR noted that the news shocked many fans, as the Atlanta-Journal Constitution recently said 21 Savage had been considered a local act for his career. According to NPR, federal officials have said that 21 Savage is actually a U.K. national. 21 Savage was taken into custody after law enforcement stopped his car to arrest another rapper in the vehicle, and the officers learned of his immigrant status. 3. c. On Feb. 4, medical examiners released Brown’s cause of death as shrapnel from a vape pen severing his left carotid artery, according to the Fort Worth Star-Telegram. Investigators believe the pen’s battery was the cause of the explosion. Previously, there was one other recorded case of a person’s death caused by an exploding e-cigarette. 4. a. Paul accused fellow Kentucky senator McConnell of being a warmonger and forming a “war caucus,” according to the McClatchy Washington Bureau. Paul argued that “we are no longer fighting anyone who attacked us on 9/11” and that the amendment to keep troops in the region was the result of a war caucus that included both Democrats and Republicans. 5. d. Trump argued that the only things stopping an economic miracle in the U.S. were “foolish wars, politics and ridiculous partisan investigations,” the Los Angeles Times reported. Trump’s speech, which ran close to an hour and a half, one of the longest on record, did call for unity but was marked by attacks against his critics and focused largely on his promise of a border wall.